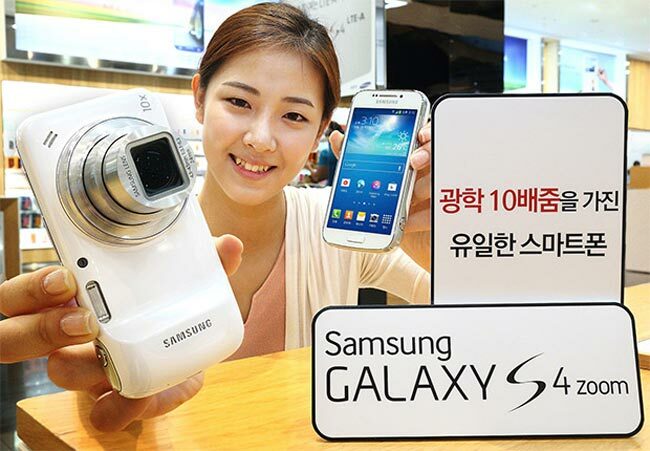 Samsung has announced that their are launching their camera centric smartphone, the Samsung Galaxy S4 Zoom in South Korea, the device will retail for 649,000 won in South Korea, which works out at around $597 US dollars at today’s exchange rate. The Samsung Galaxy S4 Zoom will be available in two colors in South Korea, black and white, the handset comes with LTE-Advanced or LTE-A. As a reminder the Galaxy S4 Zoom comes with Android 4.2 Jelly Bean, the handset’s main feature is its cameras and it comes with a 16 megapixel CMOS sensor. 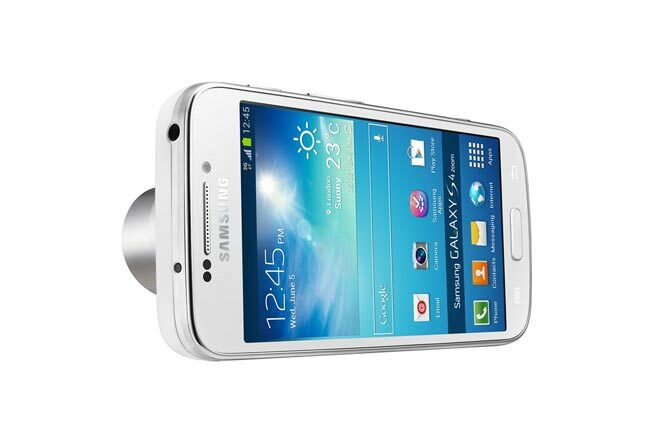 The camera on the Galaxy S4 Zoom also features 10x optical zoom and a number of advanced camera features, which include Smart Modes and optical image stabilization, it features a 24-240mm f3.1 – f6.3 lens. On the front of the handset is a 1.9 megapixel camera for video calls. The Galaxy S4 Zoom is powered by a dual core 1.5GHz processor, the device also features 1.5GB of RAM and 8GB of built in storage, there is also a microSD card slots for expansion. The microSD card slot can take up to 64GB cards, the handset comes with a 4.3 inch Super AMOLED display that features a qHD resolution of 540 x 960 pixels. Other features on the Samsung Galaxy S4 zoom include Samsung’s S-Voice, S Translator, Wi-Fi-NFC, Bluetooth, a 2,330mAh battery and A-GPS.